Here are, in my opinion, the 10 greatest moments in the entire franchise. They could be cutscenes, or gameplay twists or even epic boss battles: what matters is that they're very memorable and/or extremely key to the overarching narrative. 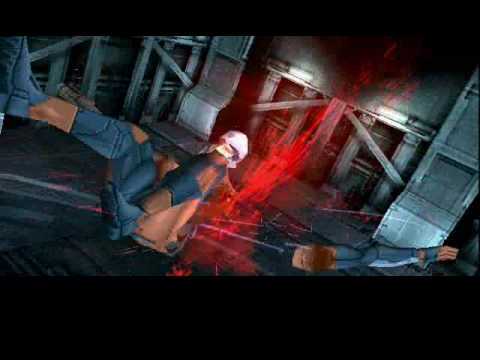 Honourable mentions: Sniper Wolf's death scene in Metal Gear Solid and the Raiden switcheroo in Sons of Liberty. For all my complaining about Raiden in Guns of the Patriots, this fight scene alone made his inclusion worthwhile. The sequence is well set-up: throughout Act II, Raiden is hinted as having a major return and our heroes get into severe peril. Then, when Raiden shows up, we're not sure what's going to happen - there's something different about him, but can he really deal with that many Gekkos? As we soon discover though, he definitely can as we get treated to the most purely entertaining sequences in the entire franchise. The escalation is just fantastic too as suddenly Raiden is not only contending with Gekkos, but the immortal beast Vamp as well. The choreography and direction of the fight are the real highlights - it doesn't serve a lot of story purpose, but it is extremely entertaining and memorable, to the point where an entire game was made and sold based on this exact sequence. Now that is impressive. 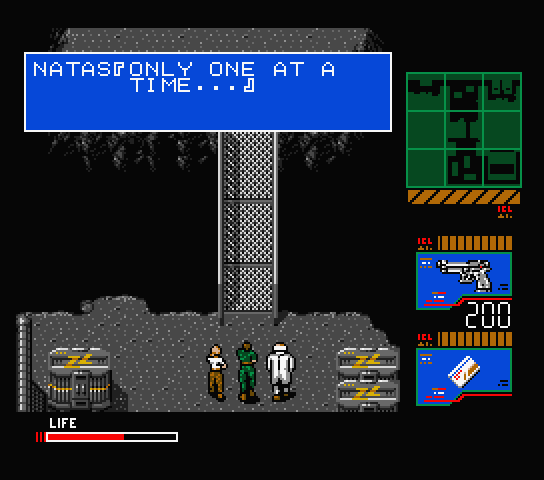 Some people might prefer the fist fight with Gray Fox in the land mine field or Solid Snake's confrontation with Big Boss, but to me there is no bigger story moment in Solid Snake than the death of Gustava. Despite the game's extremely limited storytelling abilities and her short screentime, Gustava was an instantly-likable character. Her death on the rope bridge marks a major shift in the game's narrative, as Gray Fox and Dr. Madnar both betray us and the game's best character dies in our arms, regretting that politics kept her from being with the man she loved. Tragically, we later discover that that man was Gray Fox himself, who unwittingly killed his one true love. This causes Gray Fox's own death to be somewhat hopeful, and his subsequent forced resurrection to be an even more horrific form of torture. Even if The Phantom Pain is lacking in its narrative, it's undeniable that this mission is incredibly powerful, and is a skillful weaving of narrative and gameplay mechanics to produce a truly emotional moment. As Venom Snake makes his way through the horrors in the quarantine zone, you might come across soldiers that you recognize - you recruited everyone here, they have all fallen sick, and you need to do something to rescue them. However, it soon becomes apparent that there is no cure and, worse, if something isn't done, then an epidemic could get unleashed on the world. As a result, you are forced to gun down each and every one of your men. Most of them don't fight back. Some call you a monster. Some of them beg you to do it, as they salute and hum the Peace Walker theme. Even when you think that you found one survivor, the hope is short lived as they are infected in mere moments. 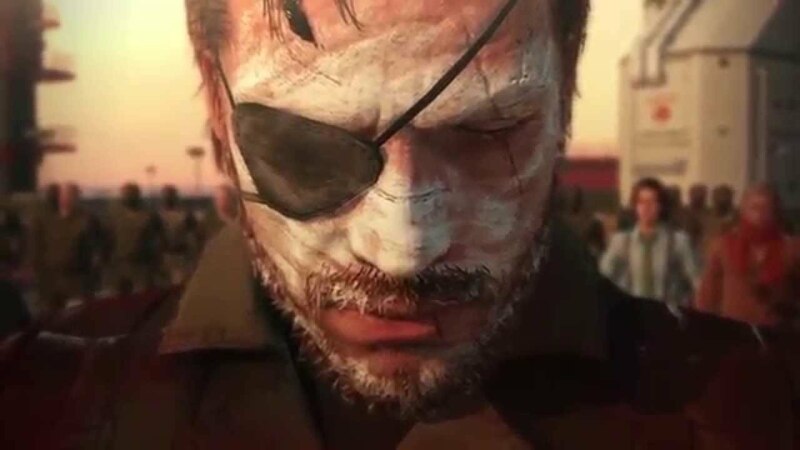 By the end of it all, you know that all of these men and women are dead because of you - by your own hand, because you brought them to Mother Base and in your service. "I won't scatter your sorrow to the heartless sea. I will always be with you. Plant your roots in me. I won't see you end as ashes. You're all diamonds." Furthermore, the ending of the game makes this sequence even more of a tragedy - you caused these men to die, but the only reason you were put into this position was because the person that you idolized was using you as an unwitting decoy in order to keep themselves safe. If Venom becomes evil between The Phantom Pain and the original Metal Gear, you can bet that this was a major contributing factor. 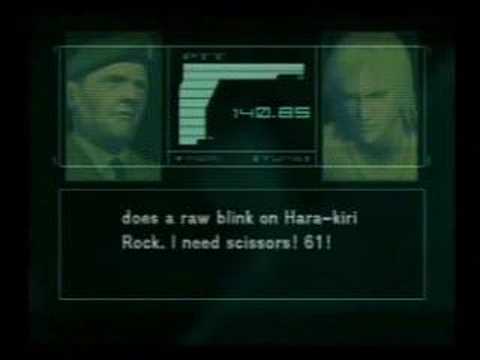 Of all the pure fan service moments in Guns of the Patriots, the Metal Gear battle between REX and RAY is probably the most wildly enjoyable. It serves basically no story purpose (in fact, one could argue that it is ultimately detrimental to the game's narrative in a few ways), but damn is it ever incredibly entertaining. I don't think anyone ever expected to be able to pilot their own Metal Gear in one of these games, let alone use one to battle another Metal Gear. It's a very fun, empowering and awe-inspiring sequence which is so purely entertaining that it's easy to ignore how inherently silly it is. Big Boss is still alive. 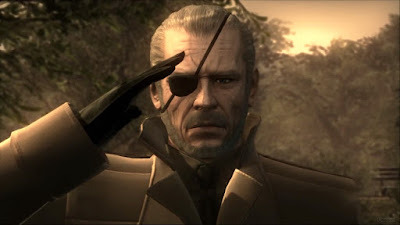 This is a rather insane reveal to work into the epilogue of Guns of the Patriots, but considering that the franchise has expanded to be the overarching stories of Big Boss and Solid Snake, it is even more appropriate to give him the proper send-off in retrospect. While this scene goes on just a little bit too long, it manages to end the franchise in an incredibly satisfying and conclusive way - The Patriots are gone for good, Big Boss finally comes to understand The Boss's will, Big Boss and Solid Snake are able to reconcile as father and son, and Solid Snake regains his will to live and see out the last days of his life in peace. This is capped off with Big Boss's final words to Snake as he smokes his last cigar: "This is good, isn't it?" I had considered not including this moment at all, but on further retrospection it occurred to me that this was really one of the formative moments in the franchise. 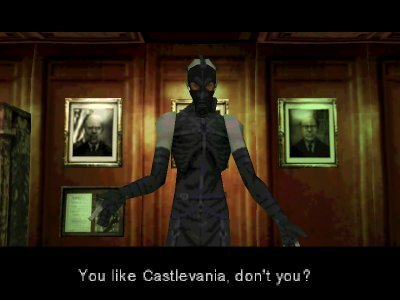 For many gamers, having Psycho Mantis tear down the fourth wall and perform his parlour tricks was a massive shock. 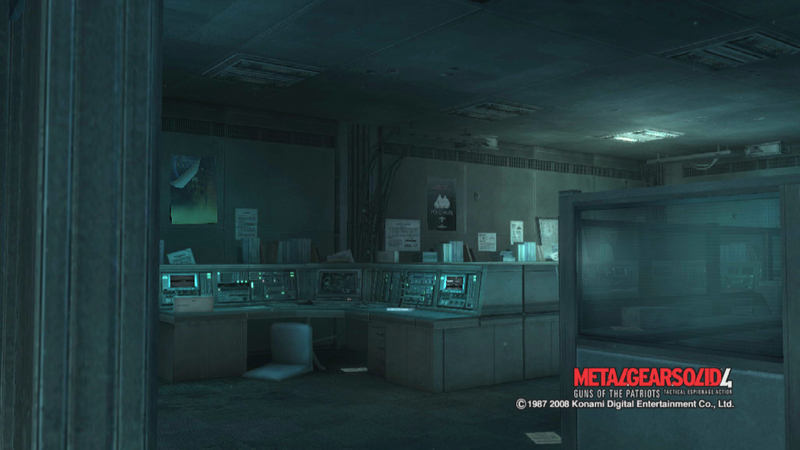 Suddenly this wasn't just a normal video game, and Psycho Mantis wasn't just a normal video game boss. The sheer amount of outside-of-the-box thinking required to both design and defeat Psycho Mantis makes the fight incredibly entertaining. While it has lost some of its lustre due to cultural familiarity eroding away the surprise of it all, it remains a very enjoyable experience to this day. The Raiden switcheroo is the usual talking point when it comes to Sons of Liberty, but I recall fondly that Raiden's naked romp through Arsenal Gear is the game's real, truly important twist. 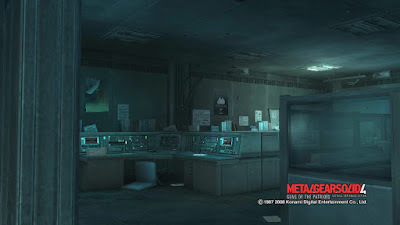 Everyone knows about the Raiden switcheroo by now, but I imagine that there are still tons of people who will be playing Sons of Liberty and then be completely baffled as Raiden runs around naked, as the Colonel constantly calls Raiden with strange messages and as ninjas start appearing out of nowhere. And how many players put down their controllers in frustration when "Fission Mailed" showed up, before realizing that the game fooled them? Sons of Liberty really starts to jump off the deep end here, and does so in spectacularly, memorably absurd fashion. 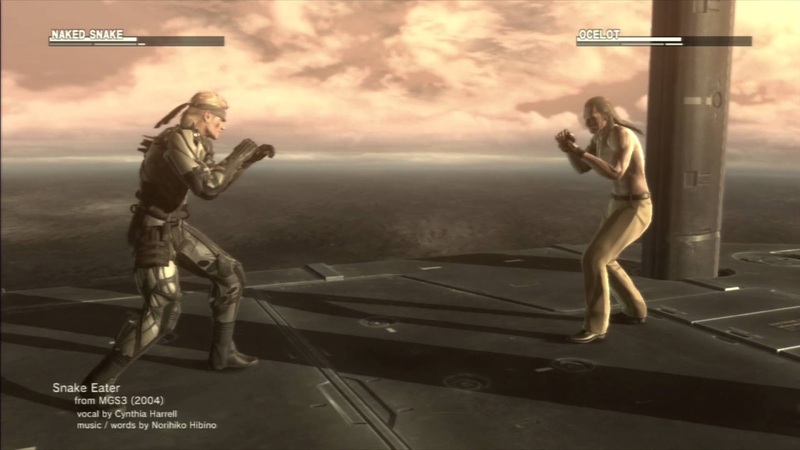 As the final clash between the series' main hero and its arch villain, the battle between Old Snake and Liquid Ocelot has a lot to live up to. 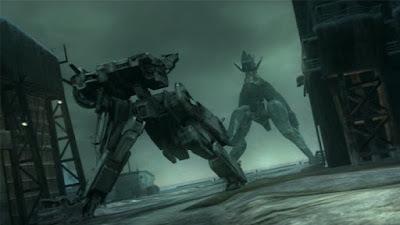 Thankfully, it is one of the most distinctive boss battles in the entire franchise, as the two foes brutally pummel one another into submission. By the end, there isn't even any dignity to the affair - it's just two tired, old men beating one another to death for little purpose. It's an incredibly sad and sobering affair which gets drawn out for quite some time, allowing us a chance to take in all of the trials we have been through with these characters. 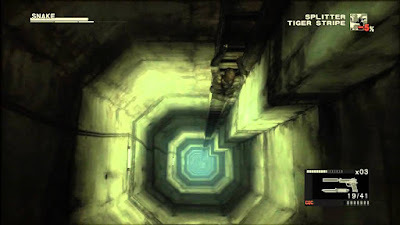 The death of Gray Fox in Metal Gear Solid is one of those major formative moments in a character's development which can be clearly seen in subsequent games in the franchise. Throughout his life, Solid Snake is used as a tool by those above him, and he constantly fights back against this perception until he is able to achieve it. 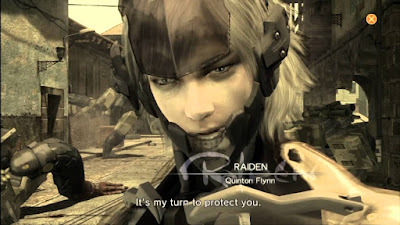 This moment is also called-back to by Solid Snake as a key part of Sons of Liberty's theme of "memes", as he passes this idea on to Raiden, who internalizes the idea himself. In fact, within the universe of the game, this is likely a meme that was passed on to Gray Fox from Big Boss himself. All of this in addition to being a very major moment in Metal Gear Solid itself, as Gray Fox sacrifices his life to save Solid Snake and give him the opportunity to destroy Metal Gear REX. In doing so, he demonstrates his friendship with Snake, and tries to atone for his lifetime of sins. "We're not tools of the government, or anyone else. Fighting was the only thing... the only thing I was good at. But... at least I always fought for what I believed in." 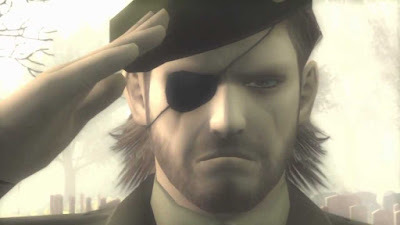 The entire ending sequence of Snake Eater is by far the greatest moment in the entire franchise as far as I'm concerned. The showdown between Naked Snake and The Boss is already tragic, with the final trigger pull being a particularly heart-wrenching moment as the player musters up the fortitude to end The Boss's life. That said, this all really comes into its own in the final series of cutscenes when Naked Snake discovers the truth of The Boss's "defection". Her defection was in fact a ploy to get close to Colonel Volgin and steal The Philosopher's Legacy for the US government. However, The Boss soon realizes that in order to complete the mission and save the world, she will have to not only sacrifice her own life, but be remembered in history with disgrace. Considering that she has spent her entire life in service of her country, including giving up her only child and executing her lover, this is a despicable fate to befall such a noble woman. This revelation plants the seeds from which the rest of the conflicts in the franchise will grow, as her few disciples make misguided attempts to live up to her legacy. "Snake, listen to me. She didn't betray the United States. No, far from it. She was a hero who died for her country. She carried out her mission knowing full well what was going to happen. Self-sacrifice... because that was her duty. [...] Out of duty, she turned her back on her own comrades. A lesser woman would have been crushed by such a burden. The taint of disgrace will follow her to her grave. Future generations will revile her: In America, as a despicable traitor with no sense of honor; and in Russia, as a monster who unleashed a nuclear catastrophe. She will go down in official history as a war criminal, and no one will ever understand her... that was her final mission. And like a true soldier, she saw it through the end. [...] Snake, history will never know what she did. No one will ever learn the truth. Her story, her debriefing... will endure only in your heart. Everything she did, she did for her country. She sacrificed her life and her honor for her native land. She was a real hero. She was a true patriot."